David brings 29 years of real estate experience and recently regained his real estate sales agent license. He is also a state certified general real estate appraiser and registered property tax consultant. 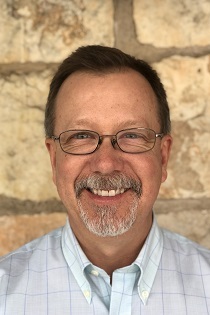 From 2000 to 2015, David was the chief appraiser for the Gillespie Central Appraisal District and, prior to that, he was the chief appraiser for the Kerr Central Appraisal District. With his past role as being responsible for the annual tax appraisals of all real estate in multi-counties, he is uniquely familiar with the Texas Hill Country and residential, agricultural and commercial real estate. He also had an earlier role in the Temple/Waco/Killeen area as a commercial and industrial appraiser for an independent MAI appraiser, providing him excellent experience in convenience stores, office buildings, hotels and warehouse type properties. In addition, through his appraisal and consulting business, he has also worked in a wide range of markets from the Texas panhandle to the Gulf Coast areas. David was born in Fredericksburg, attended Tivy High School in Kerrville, and graduated from Texas A&M University with a degree in Agricultural Education. He and his wife, Elizabeth, a Fredericksburg Primary School teacher, have three children.